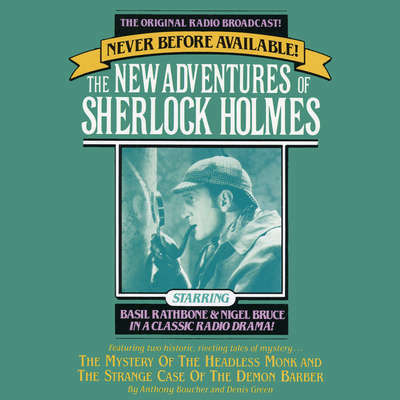 The Mystery of the Headless Monk and The Strange Case of the Demon Barber - Audiobook (abridged) | Listen Instantly! 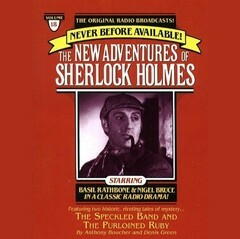 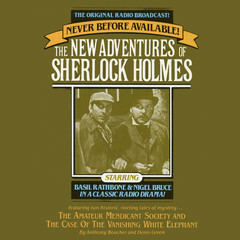 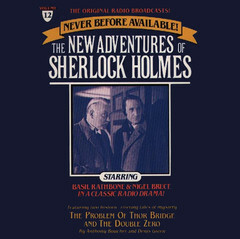 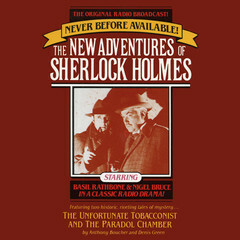 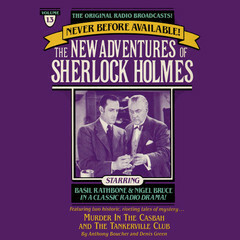 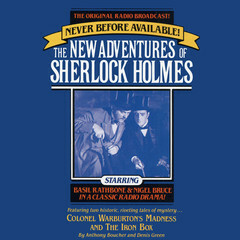 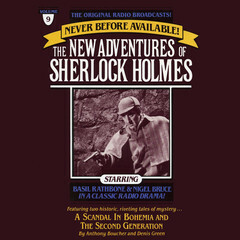 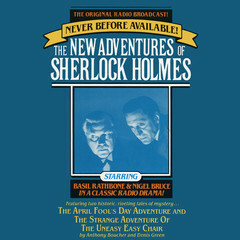 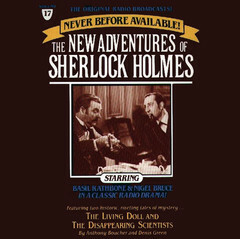 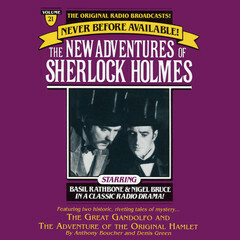 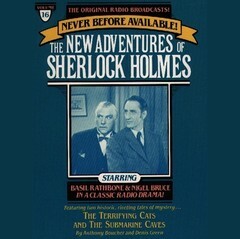 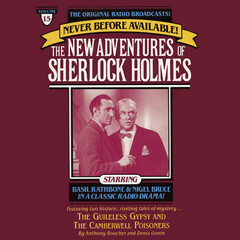 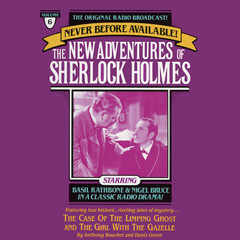 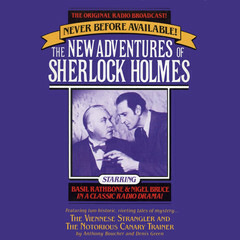 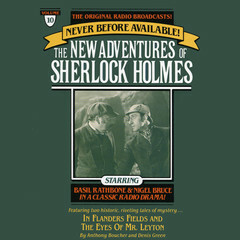 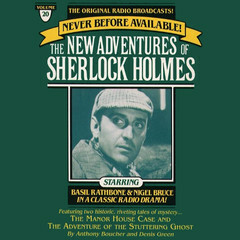 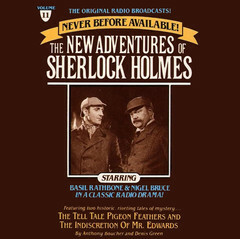 From 1939 to 1946, Americans gathered around the radio to listen to The New Adventures of Sherlock Holmes, featuring Basil Rathbone as the crime solver and Nigel Bruce as his assistant, Dr. Watson. 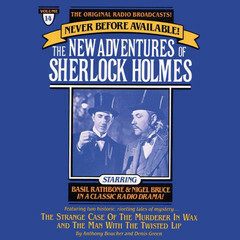 Is Mark Humphries really living life as a murderer, or is it all in the mind of a man near the edge of a total breakdown? 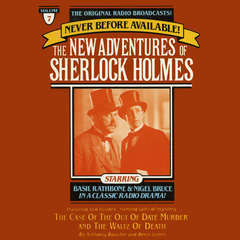 It is up to Holmes and Watson to find out the truth. 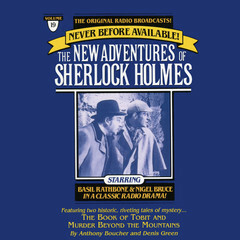 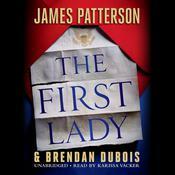 Witty, fast-paced, and always surprising, these great radio plays, written by the prolific writing team of Anthony Boucher and Denis Green, are as fresh today as they were then, and they feature perfect sound along with nostalgic wartime announcements, original narrations, and radio commercials.